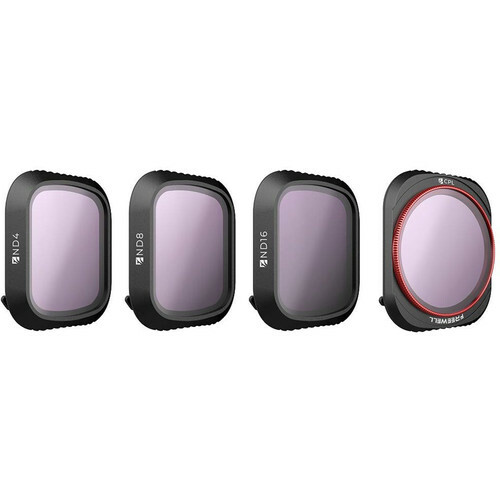 Get ready to shoot stunning daylight aerial videos in all weather conditions with your DJI Mavic 2 Pro using this set of four ND/CPL Standard Day Lens Filters from Freewell. The filters are easy to install and snap onto your drone camera's lens. The ND4, ND8, and ND16 neutral density filters included in this pack reduce light from entering the camera lens by two, three, and four stops, respectively. The circular polarizer filter helps reduce reflection and glare from surfaces like water or glass, especially when taking landscape shots on sunny days. Each filter is made with anti-scratch optical glass and coated with a total of sixteen layers, eight on each side. The filters are easy to screw on, and lightweight to ensure they don't interfere with the Mavic 2 Pro's gimbal. The filters come in a hard case to protect and transport them. The ND4 filter for DJI Mavic 2 Pro reduces the amount of light entering the camera lens by two stops. It helps to slow down the shutter speed considerably and is ideal for use in cloudy daylight conditions. 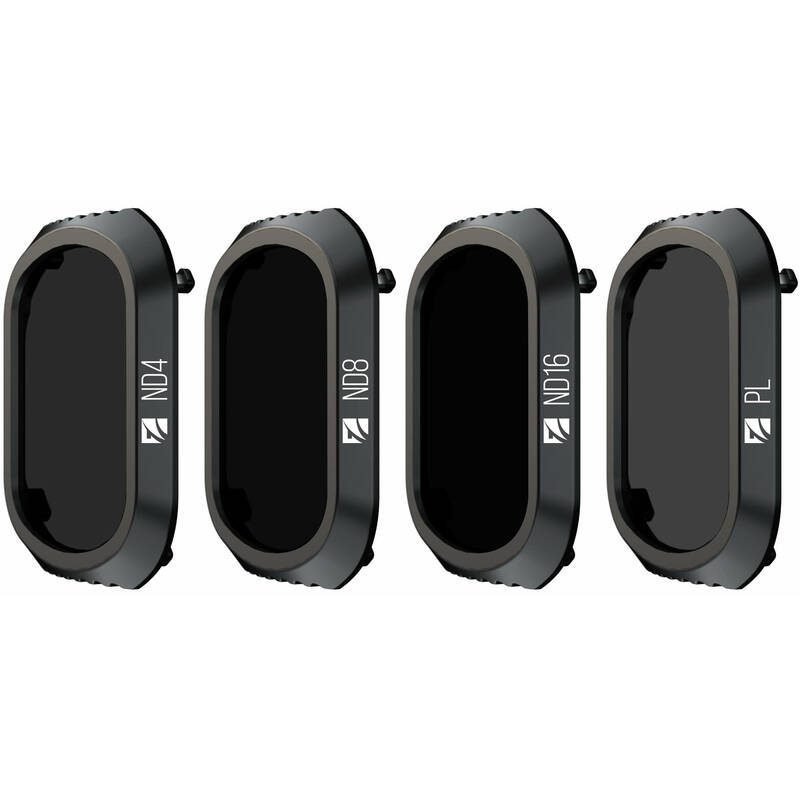 The ND8 filter cuts light by three stops, helping you capture crystal clear footage and images on partly cloudy days. This filter is also useful for preventing the 'jello' effect often seen when filming objects in motion, and for giving footage of objects in motion a natural blur. The ND16 filter is effective for cutting the amount of light hitting the camera sensor by four stops. It helps capture cinematic footage on normal sunny days. The CPL filter is designed to deliver sharp images when shooting outdoors in sunny conditions. The filter also helps prevent glare from naturally reflective surfaces such as snow, windows, and water. Box Dimensions (LxWxH) 4.6 x 3.9 x 0.9"